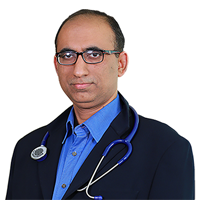 Dr. Anish Behl is a Consultant Endocrinologist at Apollo BGS Hospitals, Mysore. He has a vast experience in treating all kinds of Endocrine disorders and diseases. He is very active as a speaker at numerous Continuing Medical Education (CME) programs, medical conferences, symposia and scientific meetings of the medical community. He is also involved in several clinical trials and research studies. • Type 1 Diabetes Mellitus. MBBS, J.S.S Medical College, Mysore. MD (Medicine), J.S.S Medical College, Mysore. DM (Endocrinology), Topiwala National Medical College & BYL Nair Charitable Hospital.